First birthdays are a special event to be celebrated. This "My First Birthday" photo realistic bib is large enough to protect birthday clothes from smash cakes and will repel all moisture in the process! 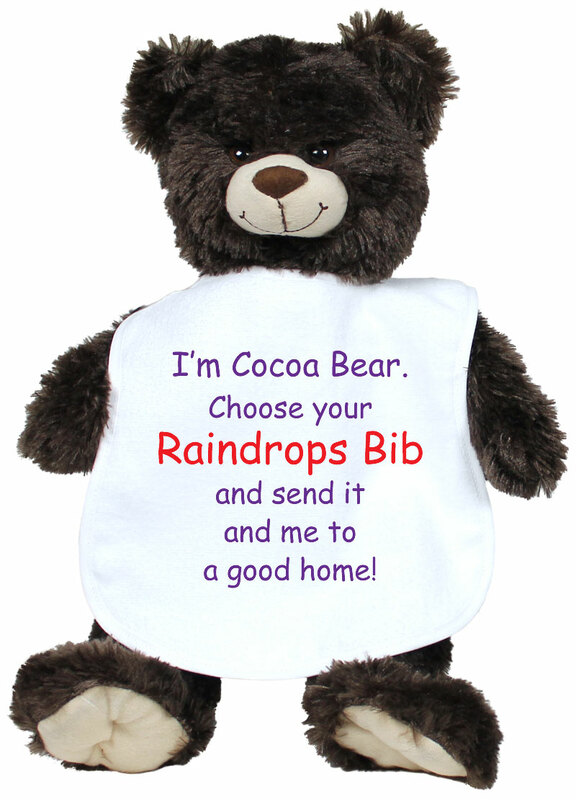 All of a baby's basic needs and more are met in this, made in America, dyed, polyester moisture wicking fabric bib with an absorbent fleecy back. The front of this incredible fabric is water repellent and the image is permanently dyed into the fabric. It will not fade, crack or peel and it will continue to wear and wash beautifully and coordinate with a multitude of baby clothes. 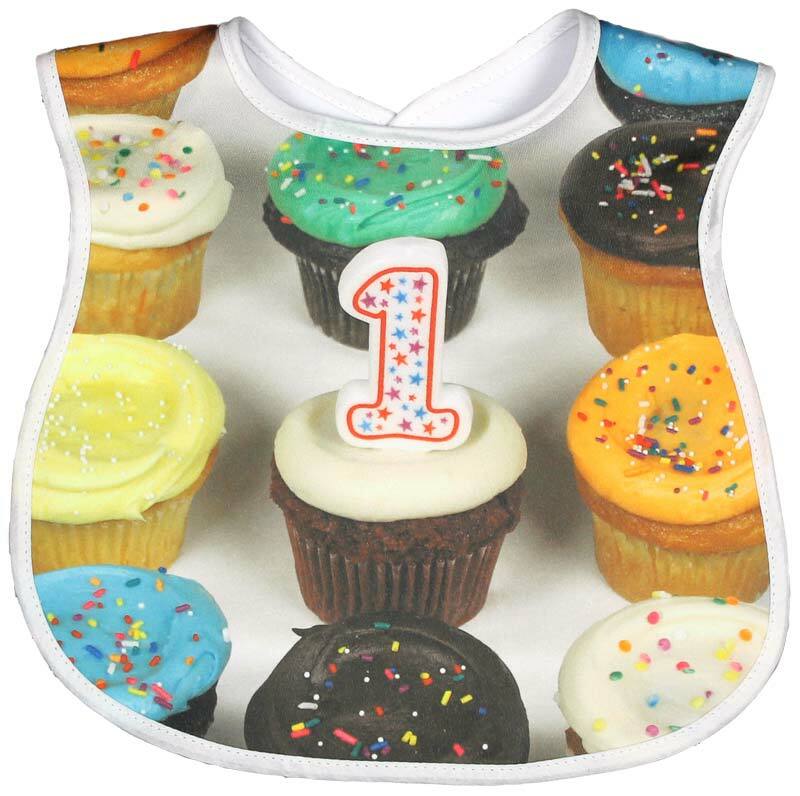 This First Birthday cupcake bib is for a girl or a boy and will make for some really cool memories! It is one of many other birthday bibs available.